When we talk about color grading or color correction, we may think about some professional color grading software such as DaVinci Resolve or Premiere Pro CC. It happens that you shot some home videos but find the color video image has mainly blue and purple colors and want to correct the color to make the video look like Hollywood manufacturing? We do know with these best video color grading software, you will always get the best result. But for beginners and semi-pros, we recommend you to try Wondershare Filmora9 (latest version 9) based on its usability and features, and pricing as well. Equipped with the strong color fixing function, this easy-to-use video editor can help you break the monotony even if you have little color correction experience for videos. Before we deep into the steps of how to color correct video with Filmora, just download the software and follow the video tutorial below to easily correct color in your videos. If you want to add some cinematic color to your video, you can also use some awesome video effect packs in Filmora Effects Store such as the Chromatic Filter Set to simulate various lighting conditions and get movie looks. Now, let's check the steps of how to color correct videos with Filmora? 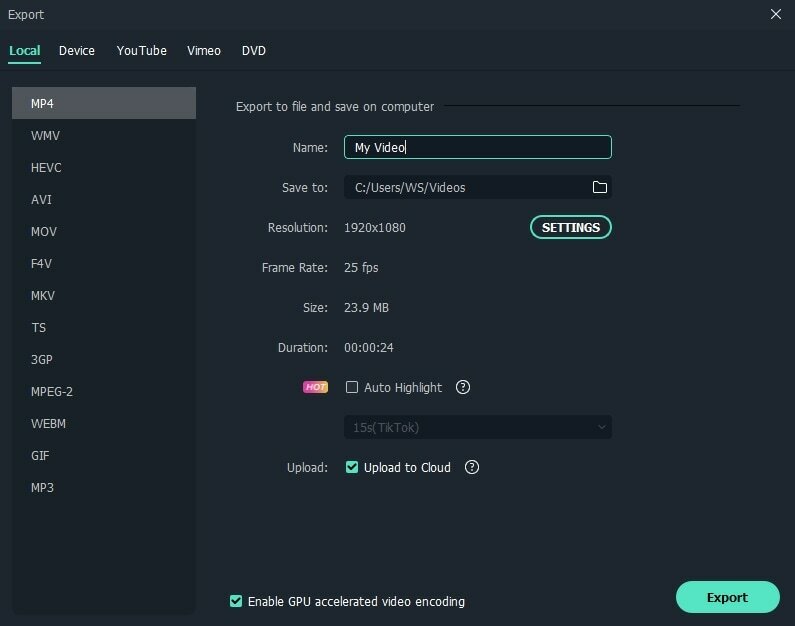 After installing Filmora Video Editor, select the Full Features Mode and click Import to easily find and load your videos in local folders or portable media devices to media library. This color correction software also allows you to add files with drag-and-drop. Then place them on the timeline. Contrast: Control the difference in color and brightness in different parts of the video image by adjusting this setting. Saturation: This setting represents the amount of gray in proportion to the hue. You can adjust it to make colors of the entire video image look more saturated or inconspicuous. Brightness: You can change this setting to customize the overall lightness or darkness of your video image. Tint: Tint refers to the light of a color. For example, when red saturated with white, it will create a tint of pink. 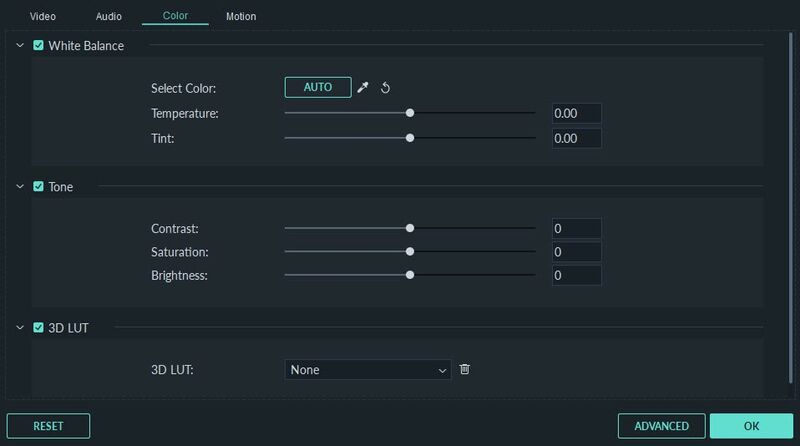 3D LUT: The 3D Lookup Tables in Filmora allows you to employ some Hollywood film looking color sets to your video from 007 series, Harry Porter, Batman, etc. To change the color correction settings, just direct your mouse cursor to the indicator, left click it and move it to the left or right along the slider. When releasing the mouse button, the respective value will be set. You can immediately see the result in the Preview Window. If don't like the result, you can always click Undo to discard the changes. It’s also possible to cancel all the changes by clicking the Reset button. You can also do some advanced color tuning with Filmora. Click the Advanced Color Tuning icon in the toolbar to enter the advanced color tuning window, in which you can apply the preset templates or adjust the color finely. It is recommended to start with Presets for beginners, which will save you much time. In the Presets tab, there are different kinds of templates, including Common, Film, Vignette and 3D LUT. While in Adjust tab, you can adjust the white balance, such as color temperature and color tint, 3D LUT, Color, Light, HSL and Vignette etc. Now you've finished correcting the video color? Press Play and go over the whole video though the previewing window. If you are completely happy with the result, hit “Export” to export your video. Click the Settings button to change settings if necessary. You can choose to save the new videos in different formats under Format tab. If you want to play the edit file on portable devices like iPhone, iPad, iPhone, Kindle Fire, PSP, Xbox, etc., just go to the “Devices” tab and select the configured preset for the specific model. You can also the video on YouTube or Vimeo directly or burn it to DVD for better preservation. See, color correction and grading is easy in Filmora. Hope you find these color correction steps are useful in making stunning videos. While, besides the color tuning tools, you can achieve more effects with Filmora. Just our introduction video of how to use Filmora with a minute. is it just me or did anyone experience this too? after exporting and converting the video, the original colour became too bright and the audio was missing (there was no sound).. pls help.. urgently need to get work done.. Thank you for your feedback, John. There must be something wrong with the hyperlink. Would you tell me in which article this button is? So I can correct it. Thank you. 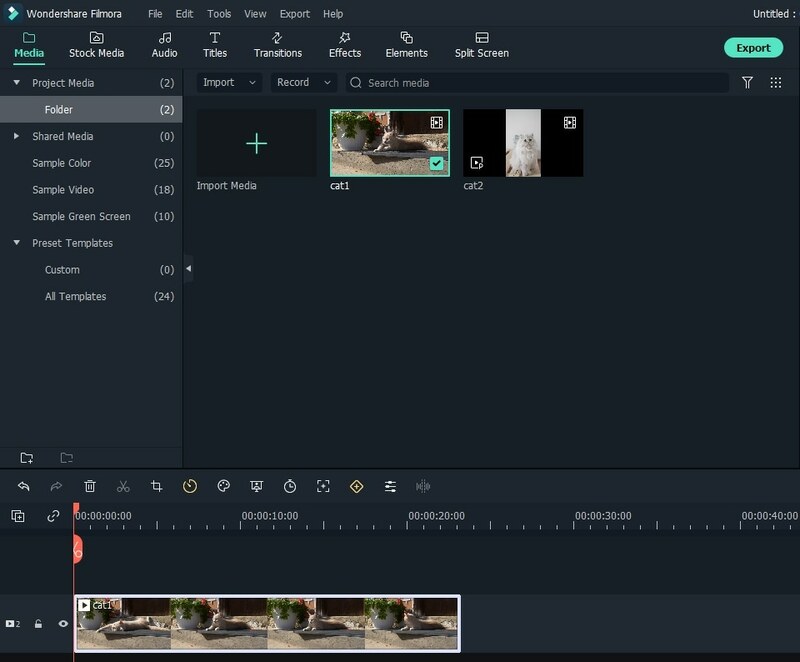 I think what you are looking for is this article https://filmora.wondershare.com/video-editing-tips/how-to-resize-video-files.html. The button to get to this page says "How to Resize Videos..." but points to this color correction tutorial. Not sure where else to ask this, but what happened to the color of the animations? For example, I use the Pixel Party opener and used to be able to manipulate the color quite a bit with the sliders, but now all I can get are variations of pink. Is there a way to get the old color change back? Or to modify the colors of the animations?